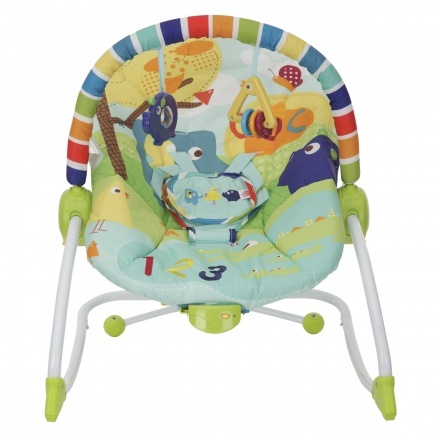 Bright Starts Infant to Toddler Rocker | Multicolour | Metal and fabric. 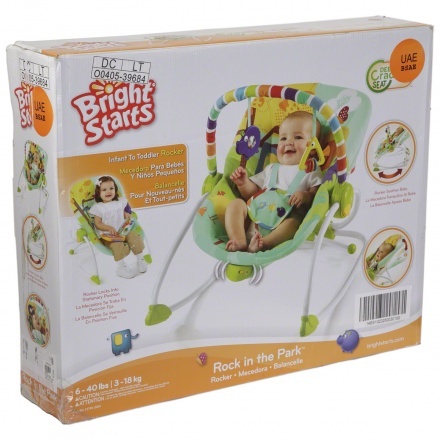 This rocker grows with your baby. 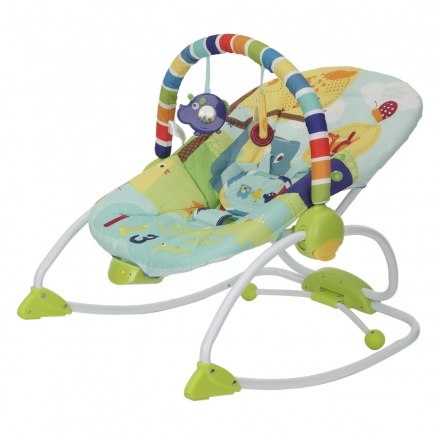 It features a three position seat recline for your child's convenience. 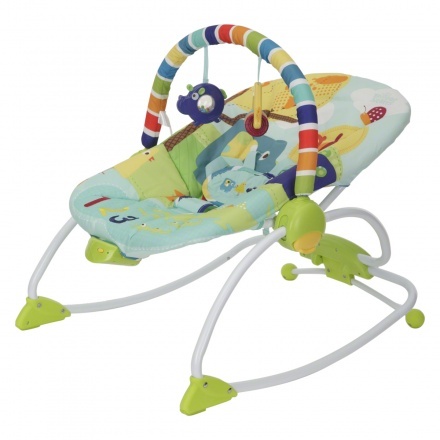 The seven different inbuilt music ensures that he is entertained and smiling all the time. 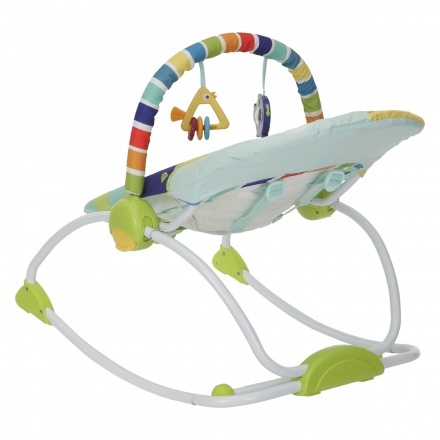 The hanging toys help develop your little one's interactive skills. Feature 1 : Metal and fabric.